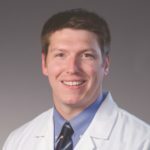 A 2011 graduate of the Southern College of Optometry, Dr. Harkins completed externships at Corpus Christi Naval Hospital in Texas and at Schultz Eyecare in New Port Richey, Florida before beginning his primary practice 4 years ago. Now, working in a multi-specialty setting with SSM Health Dean Medical Group in Madison, Wisconsin, his patient base includes a large number of older adults which brings with it an emphasis on ocular disease treatment and management. When not seeing patients or keeping up with professional obligations, Dr. Harkins enjoys spending as much time as possible outdoors. He’s also a fan of live sporting events, attending concerts and hanging out with family and friends. Dr. Harkins is a member of the American Optometric Association and the Wisconsin Optometric Association. And we are excited to say that he is now a Diplomate of the American Board of Optometry.